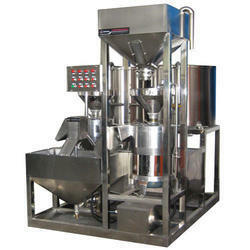 Shri Verai Engineering is the comany manufacturing All types Toffee machine. Our toffee machine have low maintenance. Steam Working Pressure: 120 Lbs./ Sq. In. 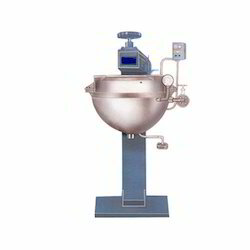 Dimensions : 3' 11" x 5' 7" x 7' 6"
Since the inception of our company, we provide the first class quality of Toffee Cooker. Being one of the renowned organizations in the industry, we are highly engaged in manufacturing a premium quality range of Toffee Cooker. Taking quality as our principal concern, we are betrothed in presenting an excellent quality of Toffee Cooker to the prestigious customers. Sugar, glucose, fats & water has to be fed manually and cooked by a steam jacketed vessel which has an agitator to continuously stir the mass to avoid sticking to the walls.